Also linked to www.jenniferboire.com under Books. Plus a free excerpt. 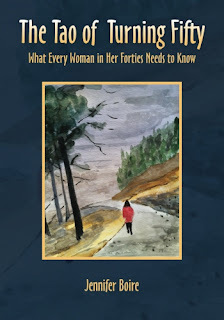 This book addresses the oftentimes overwhelming journey of the mid-life woman, and offers tips and exercises for finding calm int he middle of the storm. It encourages you to give yourself a break, before you get a break down. There is a struggle in most women about being selfish versus beginning to take the time for self care, and inner reflection, but we benefit when we put ourselves on the agenda - take time to sort things out, write in our journal. This is also a workbook, with journal pages, calming and centering breath exercises, and mostly, encouragement that you are not going crazy. Menopause is not a disease - it's an important transition in a woman's life and part of her inner journey. 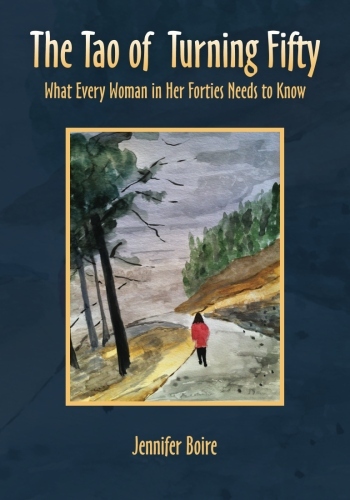 This book grew out of my research for a blog on menopause (here) and now that the book is done, I'm blogging over at Musemother. See sidebar for a link. Women are unique beings. We go through many phases in our life, on this heroic feminine journey. First the transformation from child to adolescent, the budding body, the menstrual cycle, initiating us into the blood mysteries. Then for some, pregnancy and childbirth - the complete transformation of our bodies to harbor for a new life, the giving over of oneself to another, as Joseph Campbell says, transformation from maiden to mother. This has always implied a bit of risk and danger, and loss of blood; less so in contemporary times in most countries. Still, it is a major change, sometimes inconvenient (when you can't bend over to tie your shoes), causing mood swings and happiness and sacrifice, joy and frustration. Breastfeeding can be joyful but oh so life-changing in terms of our schedule and lifestyle adjustments. Then, we're not done changing. The Change arrives sometimes in our mid-forties, announces itself gently or loudly, pushes and pulls us in hormonal swings, hot and cold, yet again. This time, the blood is on its way out. And greater wisdom or connection to our intuition is coming in. Something is lost, but something important is gained. A woman is ripe with her own knowing, learns to speak up for herself, embodies compassion if she is gentle with herself. Women are unique, yes, and I believe it is a woman's goal or task to learn awareness of her cycle all the way along - from birth to menarche, from giving birth to menopause. This blog and Musemother blog (where I more frequently write) address that rite of passage. I believe the most important tool a woman has is her self-awareness, and journal writing is a beautiful tool for knowing oneself. The Tao of Turning Fifty will launch on Amazon by Feb. 9 (next week), and every woman in her forties (and sixties) will benefit from the information in this book, from Where Did My Libido Go, to I Need to Get Away, Why Rest is Radical and Tools for Inner Guidance, this workbook allows you to journal along with it, and answer your own questions. Enjoy the journey. A link will be posted on the website www.jenniferboire.com as soon as it is ready. Many of the chapters in this book came from the blog.